Imagine bringing an expert in customer loyalty, client experience design, employee engagement, and leadership to your next event. Further, imagine that the expert customizes content to meet your desired event outcomes and delivers a presentation tailored toward engaging event participants. Dr. Michelli has partnered with event planners like you for more than 20 years. In that time, he has come to realize that his job is not to just share best-practices from his work with companies like Starbucks, Zappos, The Ritz-Carlton Hotel Company, UCLA Health System, and the Pike Place Fish Market, but also to help you succeed with all aspects of your event experience. Joseph customizes each speaking engagement to meet your needs by conducting workshops, breakout sessions, and keynote speeches. Dr. Michelli has spoken to a wide variety of organizations and excels in delivering his message with ease, humor, and the expertise of someone who "lives" client experience and leadership excellence. The following sample presentations can take the form of keynote addresses, workshops, breakout sessions, or training sessions. All presentations can be tailored for mixed audiences or targeted exclusively for senior leadership teams, middle managers, and/or frontline staff. Schedule a free 15-minute consultation with a member of The Michelli Experience team to assess how we can best serve you. You are not alone in wanting to deliver outstanding customer experiences. According to Forrester Research, customer experience elevation is on the strategic priority list of 92% of businesses; 23% of those small, medium and large companies have customer experience as their #1 priority. Despite that prioritization, consumer satisfaction research suggests customer engagement is at a 9-year low. 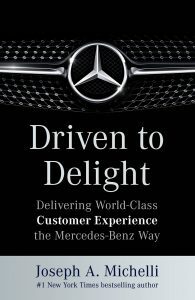 This presentation outlines the difference between companies that “aspire to” and those like Mercedes-Benz USA that “execute to” deliver customer delight. It outlines the role leadership vision and alignment play, as well as offers approaches to inspire customer-centricity for everyone who represents your brand. Moreover, the presentation offers practical tools on how to integrate technology with human service delivery to create a uniquely special bond with your customers. Let's face it: consumer behavior has fundamentally changed since the third quarter of 2008. While some business leaders have decided to drop prices to the lowest possible level, others have sought ways to add value to their existing goods and services. In this presentation, Dr. Michelli verifies the wisdom of adopting a cost-effective commitment to elevating service and customer experience. Even in these difficult times, 50% of consumers are paying more for a better experience and 50% of customers are still leaving businesses because of bad experiences, Dr. Michelli shows how to strategically design a relevant experience targeted to customer retention and acquisition of your competitors' disgruntled customers. The experience design process begins with crafting a Way We Serve™ Statement which helps staff members understand the nature of the optimal experience you deliver. In this keynote, Dr. Michelli also demonstrates how to make cost-conscious decisions that drive customer loyalty and increase customer spend. Survival in business is rather simple. No company makes money or stays in business unless they serve the needs of others. Moreover, creating "craveable" customer experiences drives consumer loyalty. Conservative estimates suggest it costs 6 times more to attract a new customer than to retain an existing one. When consumers cut back on spending patterns, it is especially important to focus on customer retention. Opportunities also exist to identify the as yet unmet needs of your current customers. By offering solutions to address those needs, you increase your customers' desire to spend more money at your business. In this keynote or workshop, Dr. Michelli discusses ways to innovate solutions that will enhance the life of the customer, such that existing customers spend more and increase their referrals to your business. By identifying the drivers of loyalty, Dr. Michelli helps audience members understand how to allocate limited financial and staff resources for maximum customer experience return. Who delivers compelling experiences that draw customers? The short answer is everyone in the business! Dr. Michelli's keynote or workshop challenges each audience member to take ownership in their workplace to assure long-term viability. By making distinctions involving varying levels of employee engagement (owners, renters, and squatters), Dr. Michelli helps redefine the role of every employee as an "equity generator." He demonstrates that every employee affects the engagement level of colleagues and contributes to positive or negative customer experiences. Dr. Michelli shows how a single employee can change a culture, lift morale, innovate breakthrough products, create customer evangelists, and even save a business. This inspirational presentation is an impassioned yet optimistic call for strong action in these turbulent times. It is a call for rock-solid execution of customer service standards. The drivers of customer loyalty are changing! Consumers no longer stay loyal to brands that simply satisfy them. Increasingly, customers churn because brands are difficult to do business with and/or those brands don’t develop emotional or lifestyle connections with them. In this customer loyalty presentation, Dr. Michelli looks at best practices from brands like Mercedes-Benz USA, Zappos, and Starbucks as they forge emotional connections at high-value touchpoints. He also demonstrates how an entire workforce listens to the voice of customers and looks for ways to remove pain points and enhance delight. This presentation also explores the role of employee loyalty to customer loyalty and the leadership behaviors needed to achieve both. A Harvard Business Review research article suggests that customer experience initiatives are failing because they are not grounded in cultures of service excellence. In "Transforming Your Culture", Dr. Michelli looks at how brands like Mercedes-Benz USA create a compelling vision of change urgency, align leaders in pursuit of tangible customer experience objectives, offer technology and process tools to delight customers, and change the internal conversation to discuss the business from the customer’s vantage point. If you are seeking a fundamental shift toward true “customer-centric” execution, this presentation will offer a roadmap and tools for transformational change! This presentation examines the primary drivers of change in the technological age. It demonstrates ways to establish flexible service and quality standards while encouraging the sharing of unique ideas and talents of employees. By making important leadership distinctions between "being" and "doing," Dr. Michelli offers a fun yet practical approach to infusing greater employee vitality, ownership, and fun. This presentation helps participants utilize essential strategies for seizing opportunities in a rapidly changing world. Innovation is a daunting word. In this presentation, Dr. Michelli demystifies the innovative process. By exploring the inside (ideas of staff) and outside (benchmarking other businesses) lanes, Dr. Michelli demonstrates how your business can gain a competitive advantage in creative product development and service delivery. Dr. Michelli shows how to effectively elicit and implement staff-generated ideas while also looking for best practices both inside and outside of your industry. This presentation also offers structured and advanced innovation strategies that lead to results-based breakthroughs. From Dr. Michelli's perspective, leadership involves engaging people to do the right things to profit people. While much research has been done on leadership success principles, Dr. Michelli focuses on two unifying aspects of leadership greatness - positive influential communication skills and the ability to develop leaders who develop leaders. Utilizing a leadership legacy model, Dr. Michelli helps managers and leaders understand the importance of finding ways to engage what is likable about those they lead. Further, he guides leaders in the process of understanding that their influence is shaped by both their effort and by the scope of leaders they develop. "Leadership - The Art of Lasting Significance," takes participants through a process to define their own personal "Leadership Legacy Statement." "Why do you come to work here?" That fundamental question is the foundation for a presentation that analyzes the transformational power of work and service. By shifting the focus away from the task nature of work to the purpose of a person's job choice, Dr. Michelli helps participants ignite their passion and calling for their work. Dr. Michelli guides employees at all levels of the organization to understand how they can do more than transact business. Instead, he shows how they can develop their gifts and talents in service of powerful transcendent goals. Many businesses were not created on a customer experience or customer service foundation. They started from a founder’s passion for a given product or industry. These types of businesses might have innovative products, operational excellence, and even great marketing. What they often lack is consistent and emotionally engaging customer experience that live up to their product quality. In Driven to Delight, Dr. Michelli looks at how an iconic brand with the motto “best or nothing” set sights on being one of the world’s best customer experience providers. Moving from the middle of the pack among luxury automobile manufacturers on customer satisfaction surveys toward levels that rival a brand like The Ritz-Carlton Hotel Company, leaders at Mercedes-Benz USA created a compelling transformational vision while aligning and mobilizing people, processes, and technology. If you are on a cultural journey to be Driven to Delight, this message will inform and resonate! Let's assume you have an engaged workforce and a consistent experience that drives staff and customer loyalty. How will you sustain and build on that success? For example, how does your business remain relevant to your existing customers while continually developing products that attract diverse customer segments? In Leading the Starbucks Way, Dr. Michelli touches upon key drivers that led to Starbucks meteoric success. He also emphasizes actionable takeaways born from the wisdom of Starbucks leaders as they leverage technology, mobilize the interpersonal connection through social media, expand offerings into the consumer product goods space, and increase sustainability and global relevance. 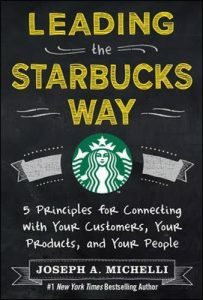 If you are looking for lasting success built on a passion for product and people, Leading the Starbucks Way is for you. Culture, culture, culture! This presentation highlights tools that have created a rich and unorthodox service culture at Zappos. Against all odds, this online business (known primarily for selling shoes in playful and emotionally engaging ways) has revolutionized social media strategies, developed an environment which has earned it a consistent spot in the top ten of Fortune magazine's best places to work, created zealous fans, and attracted Amazon.com as a purchaser for more than $1.2 billion. 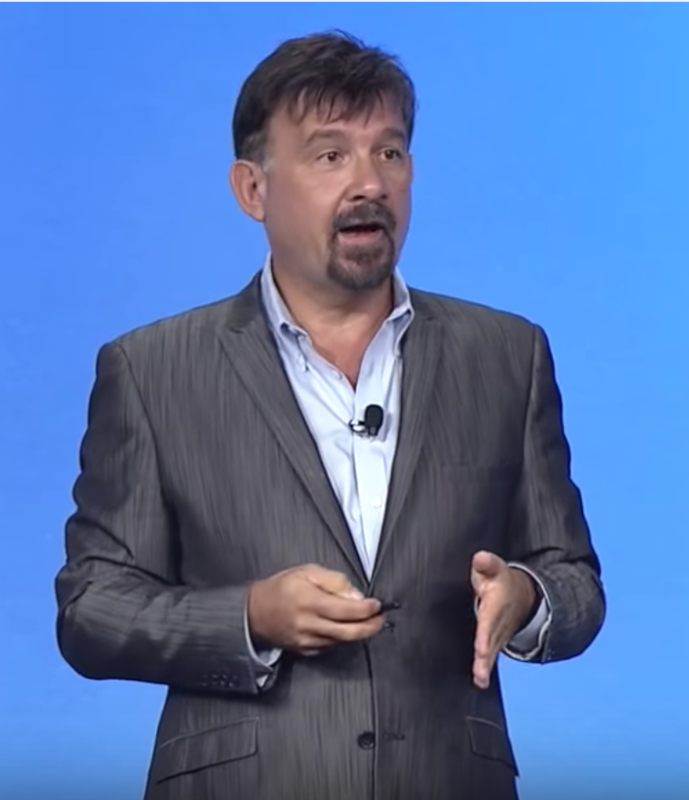 In this keynote or workshop, Dr. Michelli outlines the 5 principles leaders and frontline workers can use to "zappify" enduring success (Serve a Perfect Fit, Make it Effortlessly Swift, Step Into the Personal, S T R E T C H, and Play to Win). It's time to integrate (not balance) work and fun. 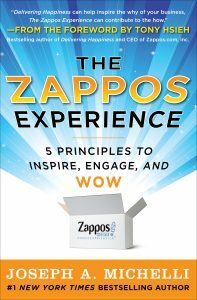 It's time to benefit from the unique and effective employee and customer engagement techniques of Zappos! Imagine running a business that requires the innovation of Apple, the commitment to safety of NASA, and the customer service of The Ritz-Carlton. Further, imagine your mandate demands you are a world-class educator, your work product holds life and death in the balance and you are responsible for discoveries that shape the future of medicine. That is the charter of the UCLA Health System. As such, UCLA tackles a diverse set of challenges faced by most businesses. Borrowing from transformational leadership at UCLA, Dr. Michelli outlines lessons on how to catapult your business to preeminence at an unusually rapid pace, transform the satisfaction and engagement of your customers through a service-centric approach, achieve enviable profitability during economic downturns and re-design, elevate, and humanize your customer experience. 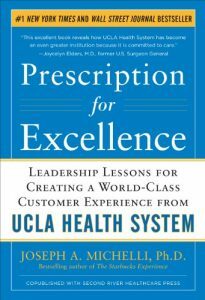 Through the context of business principles like Commit to Care, Make the Best Better, and Create the Future, Dr. Michelli offers insights about elevating service excellence by consistently executing against the highest service standards. In this presentation, Dr. Michelli examines how to deliver legendary customer experiences such as those consistently offered by The Ritz-Carlton Hotel Company, Zappos, and Starbucks. 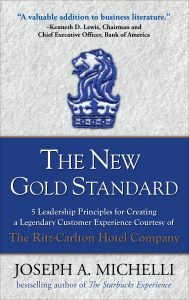 The New Gold Standard presents cutting edge leadership strategies for selection, training, and retention of the "right" staff. It demonstrates how leaders and front line workers can drive staff engagement and ownership behavior that ultimately produces transformational customer experiences. Expounding on leadership principles such as "Define and Refine," "It's Not About You," and "Leave Your Mark" this presentation examines ways to keep your service relevant to changing customer needs and shifting economic times. 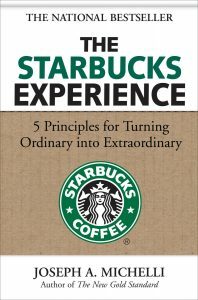 By strategically executing on the details of the internal and external customer experience, Starbucks has become an employer and coffee provider of choice. Truly, Starbucks has become a name synonymous with coffee itself. While most people see Starbucks as a coffee company that serves people, its success is based on the inverse. It is a people company serving coffee. In this keynote or workshop, Dr. Michelli shows frontline workers and business leaders how to "stage" and perform on their brand's promise. He analyzes the importance of identifying a desired emotional connection with the customer and helps participants see the important distinction between "good" and "bad" profit. Using principles like "Make it Your Own," "Surprise and Delight," and "Embrace Resistance," Dr. Michelli shows how to create the ultimate customer experience. Lights, camera, action! Your experience awaits. Dr. Michelli helps you create a unique and durable experience that energizes employees and draws customers. 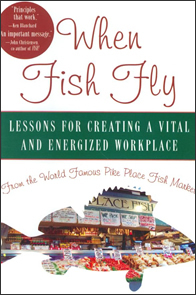 Excerpting from his book of the same name, Dr. Michelli reels in the complete fish story behind the World Famous Pike Place Fish Market in Seattle (where they are known for throwing fish and engaging antics). In this keynote or workshop, Dr. Michelli examines core principles like "Commit It," "Be It," and "Coach It" which create market's uniquely vital and creative culture. This culture leads to excellent customer service, legendary employee morale, a fun and dynamic work environment, and ultimately makes a "World Famous" difference in the lives of those they serve. This presentation offers a cohesive strategy for achieving world famous results for owners, managers, front-line workers, and customers alike. If Pike Place Fish can achieve world fame from a small storefront, with zero advertising in a smelly, physically arduous profession, just think about what is possible for your company!